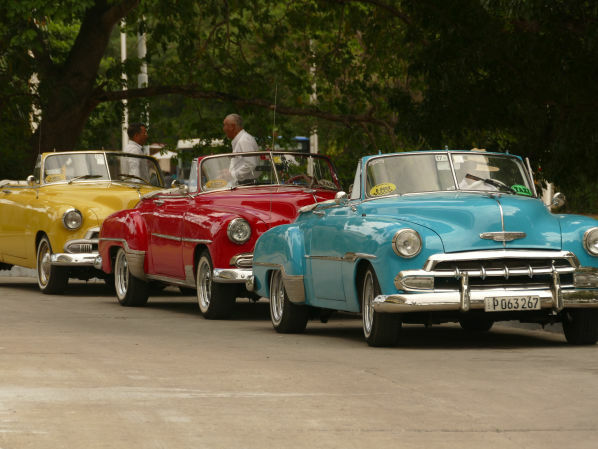 Cuba - Cigars, Cars, Todies and Trogons. Or groans, moans and drones. Well what a trip this turned out to be, a fairly unusual start due to the Drones or as it turned out non Drones at Gatwick airport. 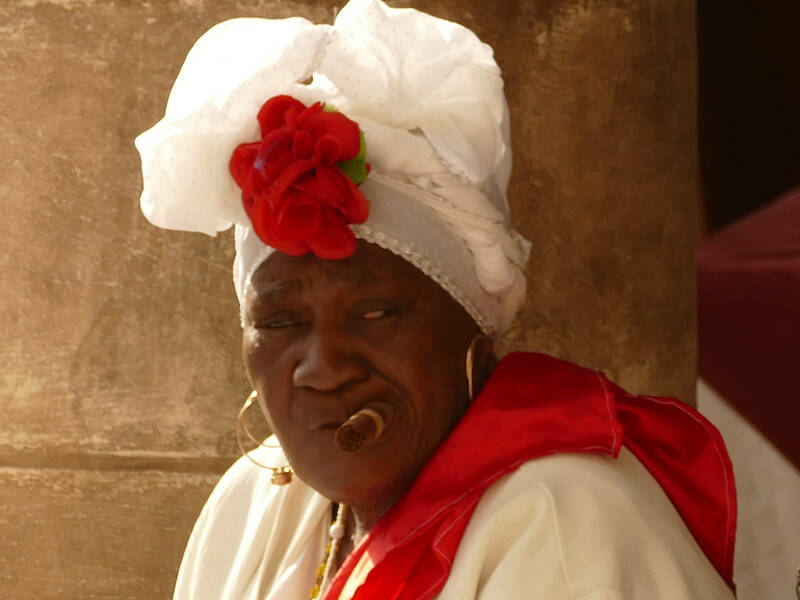 Eventually after a delay of 30 hours we touched down at Havana International Airport, one transfer later and we were at the small hotel situated on Plaza Vjeja in old town Havana, the strains of Cuban music could be heard everywhere which was pure joy to my ears. A Cuba Libre ( or Two ) later the bed was well and truly visited only to be woken up in the middle of the night by the sound of partying from the nearby beer factory where much merriment was being made. When in Havana one has to go out in a classic car – Hire and beware – a 1958 Lady Penelope pink Chevrolet was the car of choice sadly 20 minutes into the journey it conked out but a swift call from our driver saw us transferred to a 1959 scarlet red Ford Thunderbird. This really was cruising in style our new driver Antonio took us to all the sights – Plaza de la Revolution, the Teatro, Malecon, Vedado, John Lennon Park and a host of others. 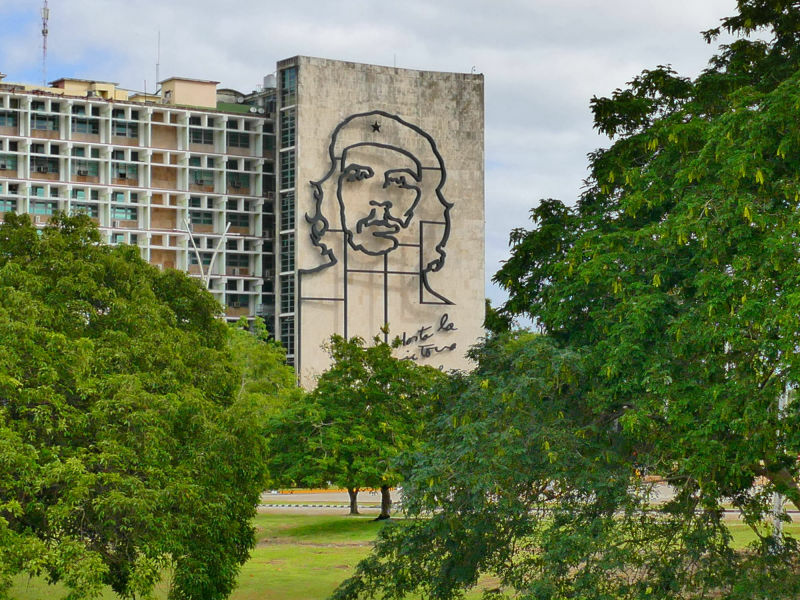 Already you could get a feel of Cuban life and just why they were so keen to keep their own identity and not have any influence from their noisy neighbours to the north. 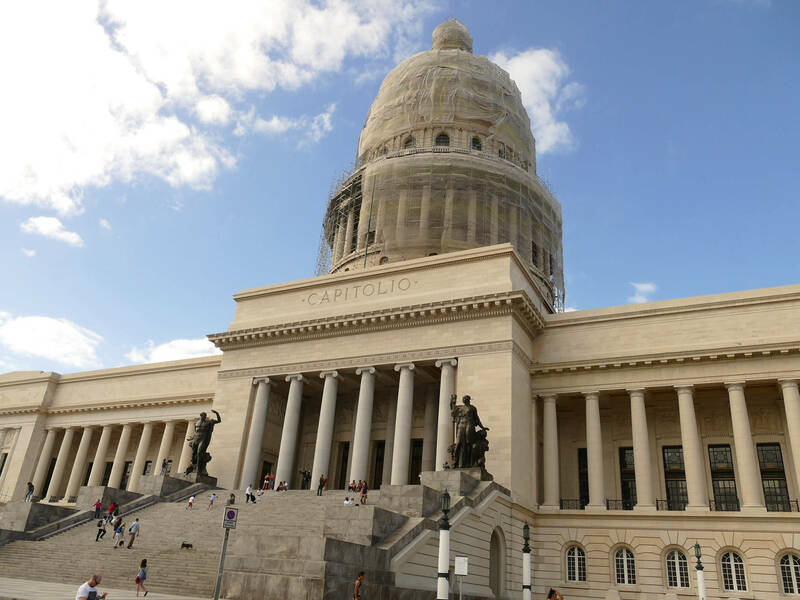 An extensive walking tour took in the Palacios de Revolution, the Capitolio, ( built as a replica of the White House in Washington DC – No mickey taking there then) Paseo de Marti ( great artwork found here) and a host of other sites. After dancing in the street to a local band, hitting the sack to the sounds of more merriment from the beer factory the following morning was a leisurely walk around the old town taking in the Catedral, Castillio, Bodega de Hemingway with Calle Mercedes being a stand out street for its culture and artwork. After meeting up with our guide and driver for the next 9 days ( Frank and Yunea ) we headed to Las Terrazas an eco social project which brought many landowners together in one special green valley where all their needs were met and has a real sense of community. Various birds were seen such as Cuban Woodpecker, Great Egret with Turkey Vultures everywhere. After having a go on the zipwire and screaming like a bangee it was on to Valle Vinales. Stopping off for a meal we finally slithered into bed at a late hour after our yellow taxi had required a tow into town. Getting up early the town had woken up with everybody going about their business, some great birds seen but trying to ID some of the warblers was not easy. Visiting Cuvea del Indus and marvelling at some of the structures, then to Mural de la Prehistoria depicting a biological time line this was followed by far too much White Cuban rum in a Pina Colada before we saw another cave which had been the gathering point for a Pelanque – ie a group of escaped slaves. Lunch was then followed by a trip to the local botanical garden which had been started by two half sisters some 100 years earlier. Absolutely fascinating seeing this garden through Pedro’s eyes, our guide. A visit to Estanco de Tabacco which was fascinating giving an insight into the growing, harvesting and manufacture of cigars 90% going to the government and 10% kept at home all this taking place in incredible landscapes of valleys and mogotes. The day was completed as we watched the sun go down after walking some six kilometres seeing American Kestrel, Killdeer, Little Blue Heron and Cuban Kingbird along the way. Continuing with the brocken down car theme our yellow taxi faltered again but swift rearranging saw us get to our next destination of Cienfuegos. Sat on the balcony ( with yet another Pina Colada ) local birds seen were Sandwich and Royal Tern, Brown Pelican, Neotropic Cormorant , Laughing Gulls and Black Skimmers as the sun went down. A visit into town the next day revealed some amazing architecture with the Palacio de Ville, Palacio Ferrer and it was a great day to learn all about Cuban life and its people. A great NHS free for all the people everyone treated the same, great care of its elderly residents and just what you could and couldn’t buy in the shops. This area also had to cater for Cruise ships which came in here on a regular basis adding an extra dimension to the locality. It was also the birthplace of Benny More Cuba’s most famous musician. 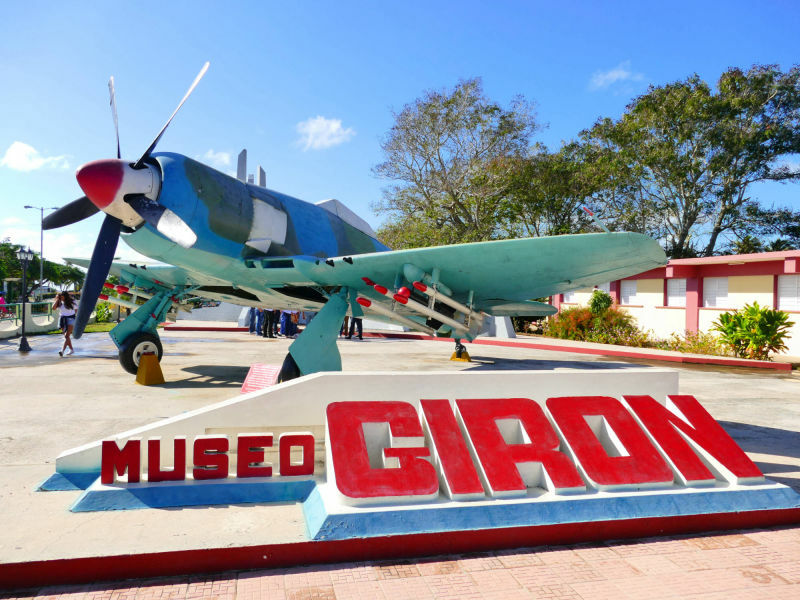 The following day it was up and out to Playa Giron where there is a museum dedicated to Fidel Castro and his victory repelling the American insurgency in the Bay of Pigs in 1961. It really is a compelling story with Fidel firing the final tank shell which sank the USS Houston off the coast. 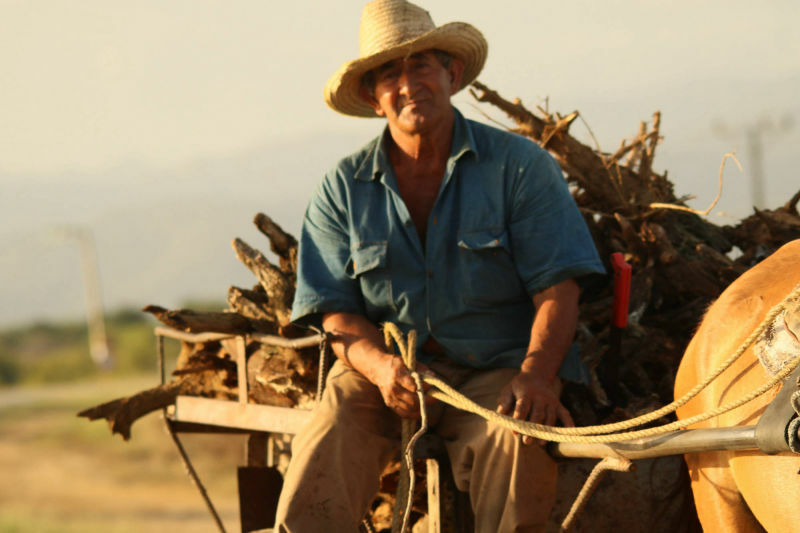 These events defined modern day Cuba. A great session snorkelling just off the coast brought great views of the following fish Angel, Damsel, Butterfly and Tangs amongst many others. Following Lunch a visit to the local Crocodile Farm where the endangered, endemic Cuban crocodiles are bred in captivity. 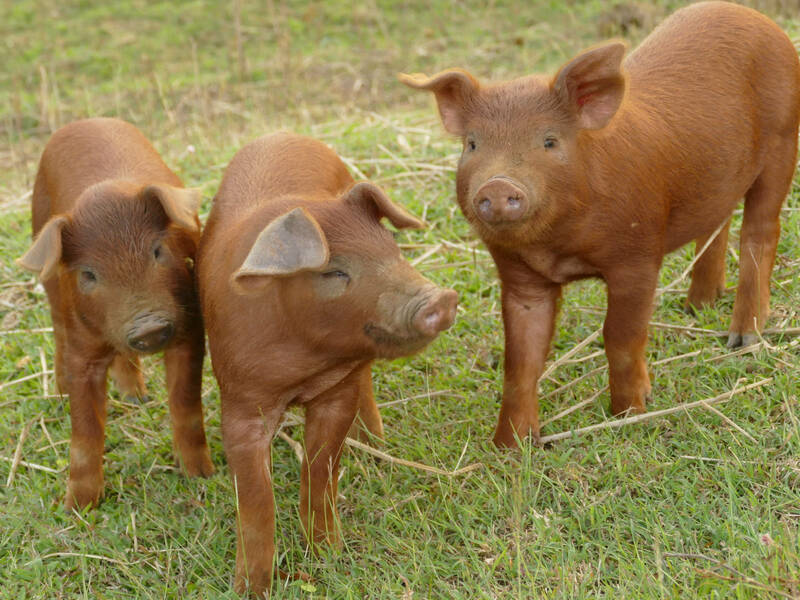 Most are for release at various protected sites around the country but some are bred and farmed for their meat and skins. A brief visit was made to Aldea Taina a reconstructed village showing how the Taino natives would have lived centuries ago. Whilst here White Pelican, Darter, Osprey and Palm warbler were seen. Our next destination was Trinidad the town not the country but a stop at Jardin Botanico Soledad. What an astonishing place this was 232 acres, 1400 species of plant of which 195 are palms. As a horticulturalist I am biased but what an amazing place with Hilda as our guide whose knowledge was endless. They have links with all sorts of other gardens around the world exchanging valuable information on cultivation and climatic change. It was also a great place for birdwatching as you would expect. 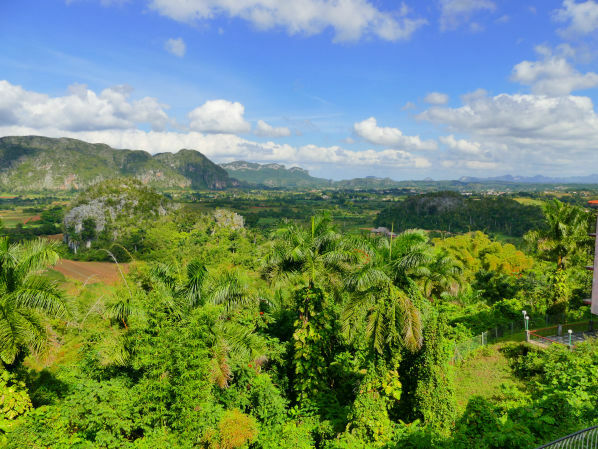 El Nicho was then visited a series of waterfalls in the Sierra del Escambray simply stunning scenery and also gave us our first sightings of Tocororo ( Cuban Trogon) the national bird of Cuba due to its colours being the same as the country’s flag. Trinidad made its name in the heyday of Sugar cane, wealthy land owners and the slave trade. Also cotton and Linen is now produced here in lesser quantities. Some free time in late afternoon presented the chance for birdwatching at the Salinas close to Playa Ancon. Species seen were Lesser and Greater Yellowlegs, Killdeer, Semipalmated Sandpiper, Black Bellied Plover, Black Necked Stilt, Green and Tri Coloured Herons. A city tour really gave an insight into Trinidad in its heyday with all local forces coming into play but then everything being under constant threat from marauding pirates hence the rather unique design to the single story dwellings. It was also great to have an in depth chat with Johan and Crystal our hosts at Casa Almeda about Cuban life in general – Thanks. So onto our final day with Frank and Yunea we went to our final destination of Playa Larga via the Che Guevara monument at Santa Clara it was truly outstanding and had been erected here close to his final battle toppling the dictator Fulgencio Batista a great ally of the USA, thus giving Cuba a new lease of life after many years of unsolicited corruption. Great preparations were underway for the following day which was Liberation Day or Anniversary of the Triumph of the Revolution. Arriving at Casa Ernesto Valverde we were invited to join in with the celebrations where the traditional fare is roast hog ( Bay of Pigs) so it is not a good time to be a pig in Cuba. A guide had been prebooked to take us birdwatching in the locality of the Zapata National Park which is the most important wetland throughout the Caribbean. Angel our guide was truly astonishing finding some of the endemics. 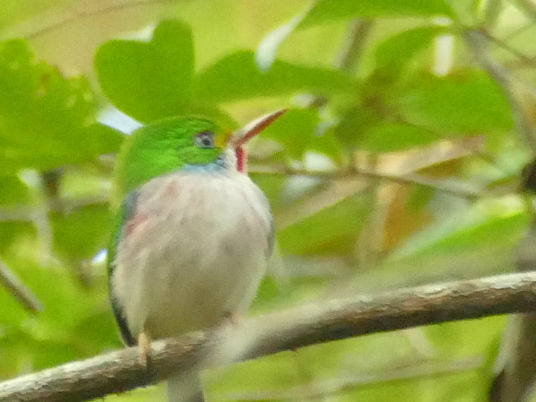 Cuban Parrot, Cuban Tody, Cuban Vireo, Bee Hummingbird ( the smallest bird in the world), Cuban Pygmy Owl, Red Shouldered Blackbird, Cuban Green Woodpecker, Loggerhead Kingbird were sighted along with 60 + other species he really was quite brilliant. 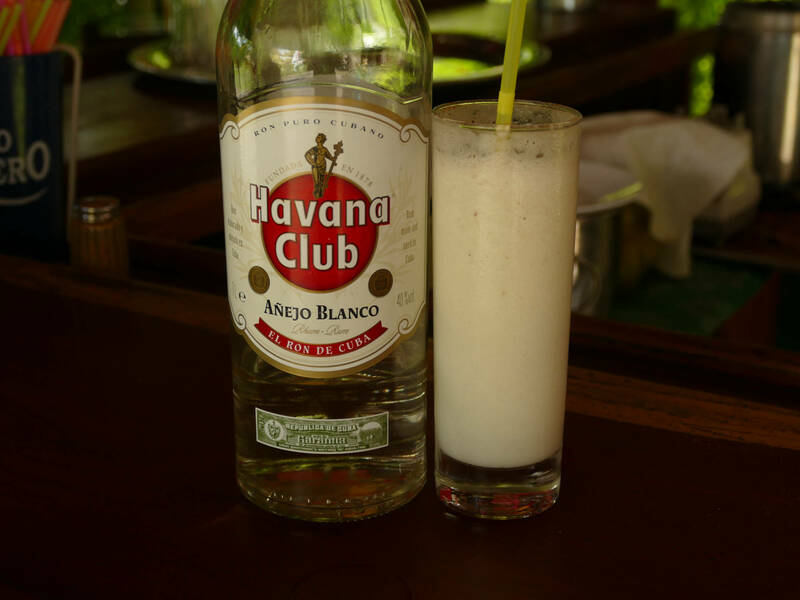 All topped off with a Cuban black snake sunning itself on the road. Over the next couple of days more snorkelling, cycling, birdwatching, swimming and of course more cocktails followed before it was time to return home with a truly heavy heart. 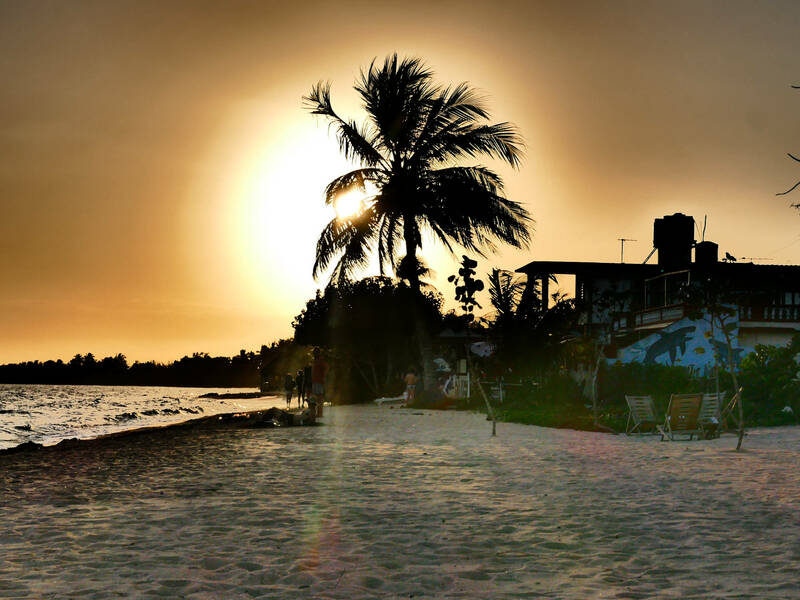 Cuba as a place has left its indelible mark on me and captivated my soul. It is certainly a place like no other where people are happy , care free , looked after by their government at all stages of their lives, where I never heard a crossed word , where music is part of everyday life and above all else it is independent of a world around it whilst retaining its own identity. Long may that continue – Oh and if it helps the sun is always shining.